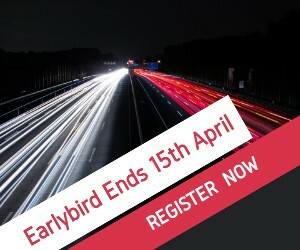 Register and pay by 15th April 2019 to receive the Earlybird rate. 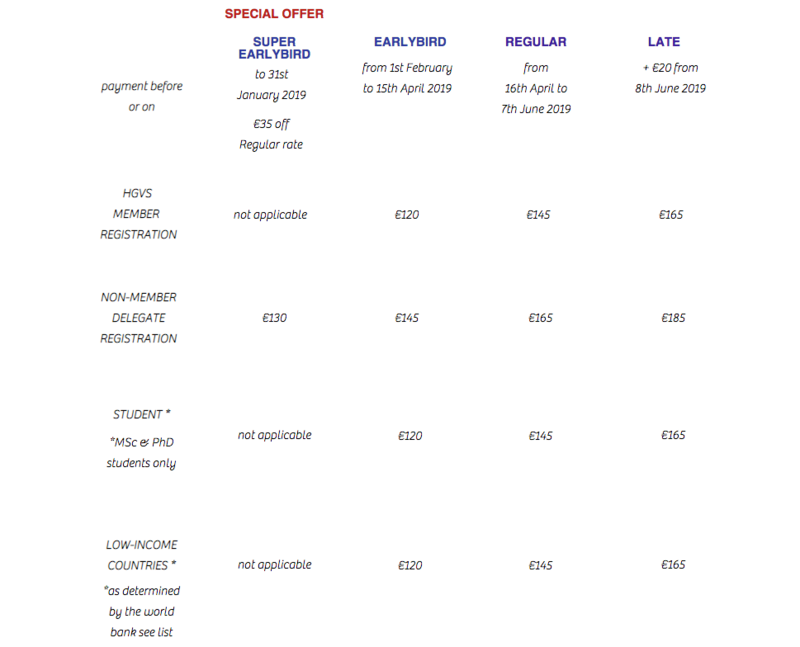 To qualify for the Earlybird rate full payment must be received on or before Monday 15th April 2019. If the full payment is not received, your registration fee will increase to the Regular rate. Non-members who register two or more delegates at the same time receive a €5 discount from each Earlybird registration. various administrative costs such as AV, invited speakers costs, etc. The reduced registration fee is only applicable, if it has also been paid to the conference account according to the deadlines. Registering without performing an actual payment will automatically set your balance to the next available fee. Payments may be made by Credit Card (VISA and Mastercard), bank transfer, PayPal or cheque. You will be transferred to a secure site. Online Credit Card: During registration choose "Pay by credit card using PayPal". You do not have to be a PayPal member - inside the next page is a link to "Credit Card" payment. If you are a member you can use PayPal if you like. Bank Transfer & Cheque: During registration choose "Bank Transfer or Cheque or offline credit card". The details needed are on the invoice issued. Offline Credit Card: choose "Bank Transfer or Cheque or offline credit card". At the bottom of the invoice is a space to write the VISA or Mastercard details. Please PDF and send to the Event Manager who will charge the card manually through the bank. (this charge will be the equivalent amount in US$). The record will be destroyed once payment has been made. Amount is shown in € Euro. If you are making a bank transfer, please make sure to send the correct amount in € Euro. If you have a problem or question please contact us. Please DO NOT type everything in Capital letters or small case, use Sentence Case e.g. type Ivan Pavlov not IVAN PAVLOV. When it comes to the payment section you will be redirected to a secure site. Delegates who are not members of the Society and who do not wish to join should register in this category. Group discount - when 2 or more delegates register at the same time. This category is available for HGVS members only. You may join the Society during the registration process here if you like. The cost is US$50. LIMITED number of this ticket available. Includes access to all sessions and lunch. Applies to MSc and PhD students ONLY. Please provide a confirmation signed by the head of your department at the moment of your registration by email to: rania (at) meeting-makers.com. Confirmation handed in at a later stage cannot be considered. Discounted registration is available to delegates from low and low/middle income countries as determined by the World Bank. Check the list of eligible countries.